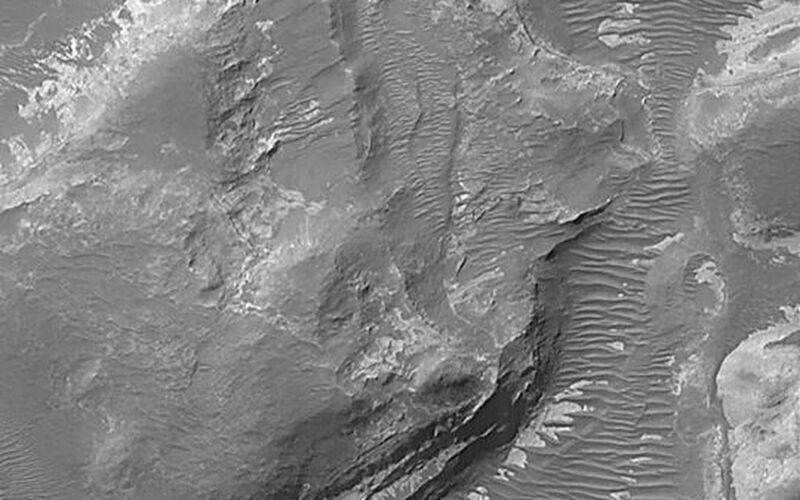 This Mars Global Surveyor (MGS) Mars Orbiter Camera (MOC) image of pitted terrain northeast of Hellas Basin shows light-toned outcrops of layered, sedimentary rock, and a valley floor covered by large, dark ripples or small dunes. 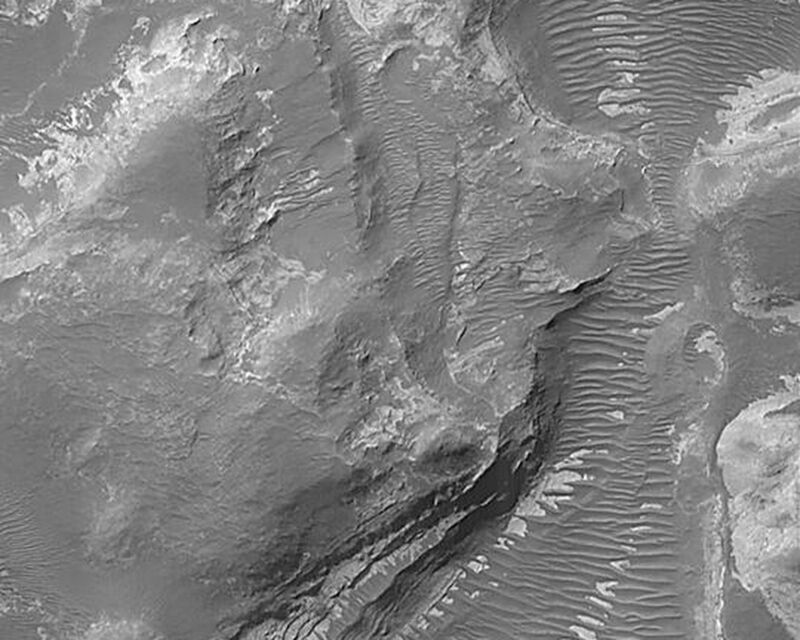 Similar light-toned sedimentary materials are found throughout the region immediately northeast of Hellas, and in the crater, Terby. 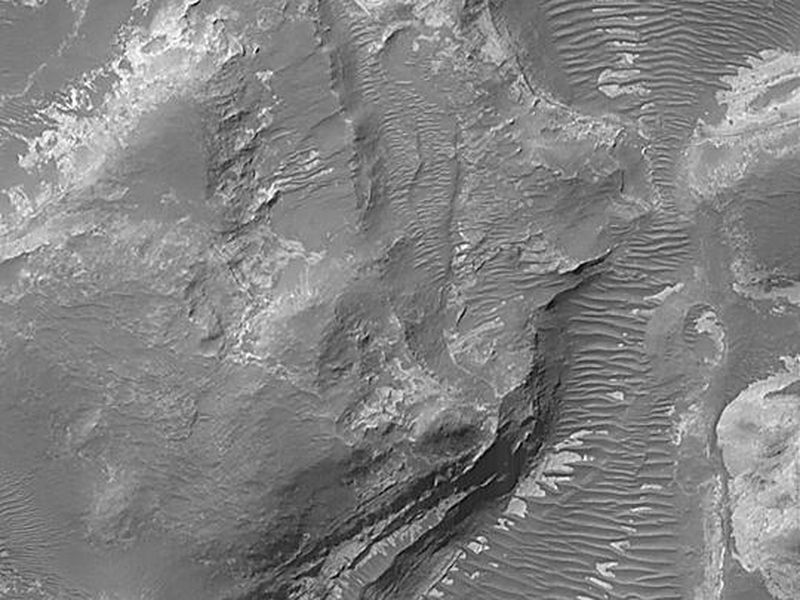 The area shown is 3 km (1.9 mi) wide and located near 27.5°S, 281.7°W. 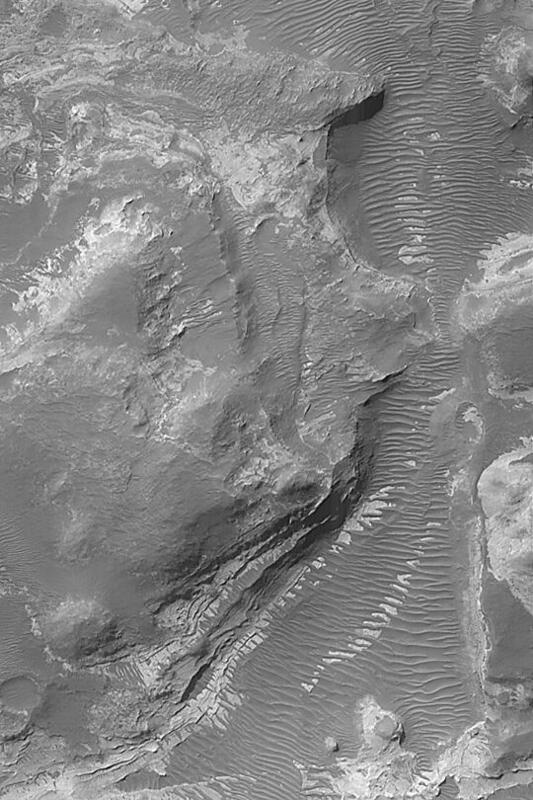 Sunlight illuminates the scene from the upper left.